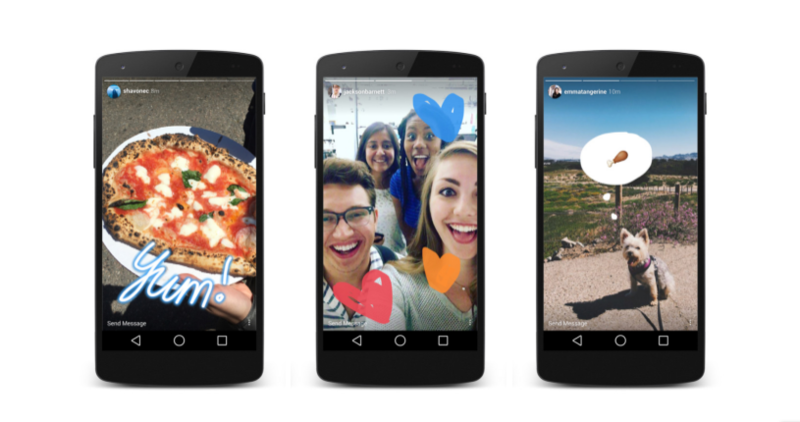 Instagram Stories is one of those features that Instagram directly copied from Snapchat. Now, Instagram Stories are more popular than Snapchat stories. Stories allow users share what they are up to. When you tap on a Stories on Instagram, it will be the set of pictures that automatically plays and each picture remain there for few seconds only. If the picture has some text on it, you might miss it. You also see no option to go back. If you have been facing this problem, I have something important to share with you. Instagram has given ways to pause, rewind or fast forward Stories. You just need to know how to do that. Many people already know these options, but many people asked me how to do this. So In this article, I am writing how to Pause, rewind or fast forward Instagram Stories. If you want to stop Stories for any reason, just tap and hold the screen. The InstagramStories will stop at that frame until you raise your finger from the screen. If you want to go back t the previous photo of an Instagram Stories, you just need to tap on the left side of the screen. Single tap will take you one frame back. The same thing is there for forward. You just need to tap on right side of the screen. Single tap will take you one frame forward. If you want to skip the whole entire user’s stories, swipe left. To watch the previous user’s Stories, swipe right. Instagram Stories is a popular feature of Instagram used by millions of people around the globe. If you have not started using this feature, try this. It is interesting and allows you to share key moments of the day with your followers. If you have anything to ask about Instagram Stories, you can always leave the comment.